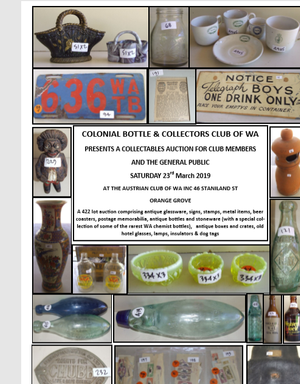 The Colonial Bottle & Collectors Club Of WA Inc.
CBCC Committee have provided a brief look at some of the lots in our upcoming AUCTION. 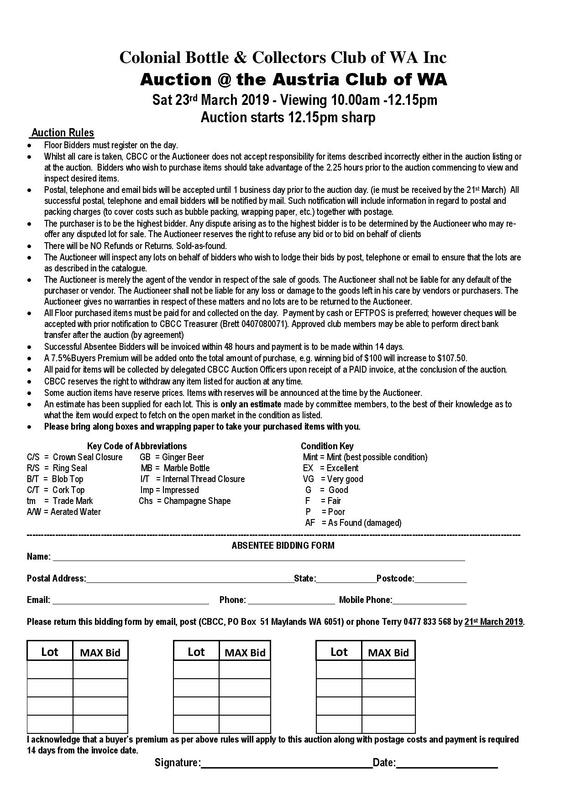 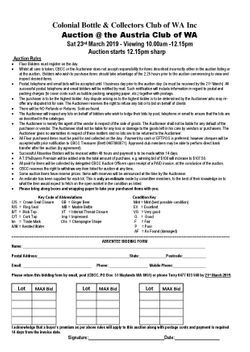 if you would like to view a particular item. 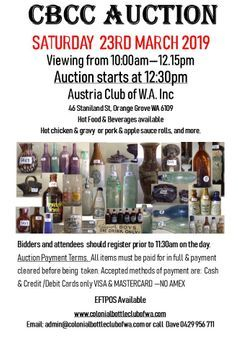 © 2019 The Colonial Bottle & Collectors Club Of WA Inc.. All Rights Reserved.